Oh yes, we finally got it done! 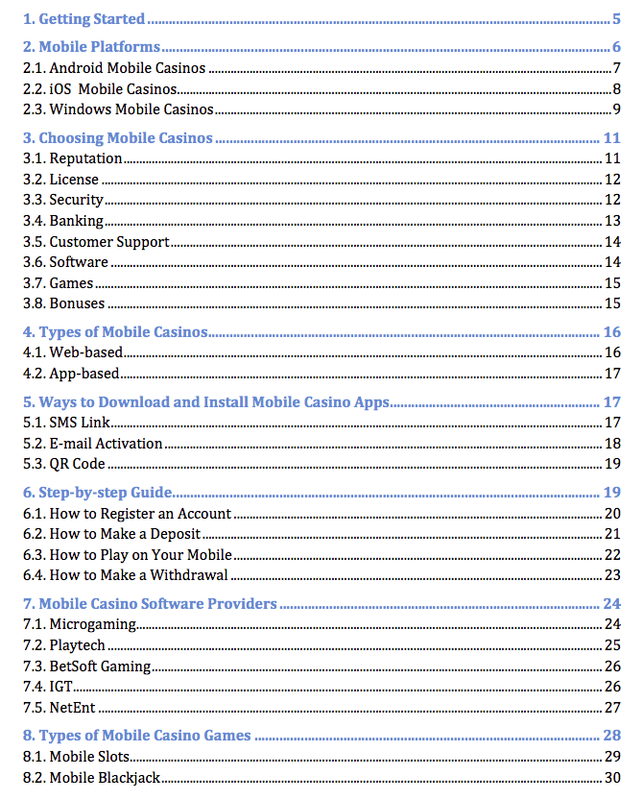 38 pages of content – everything you need to know about mobile casino games in 2019. No matter if you have an iPhone, Samsung Galaxy, HTC One, iPad, Nokia Lumia, Android Tablet or some Blackberry device. This eBook is for you! 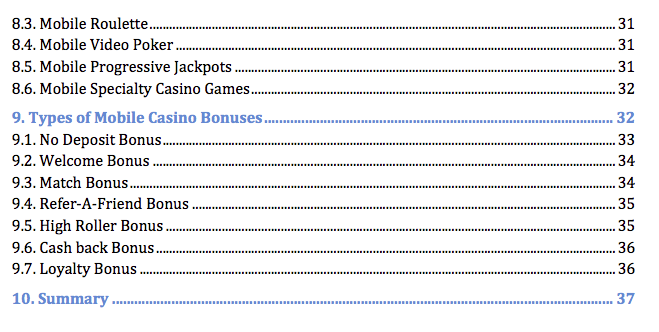 If you still have your doubts, check the table of contents below. 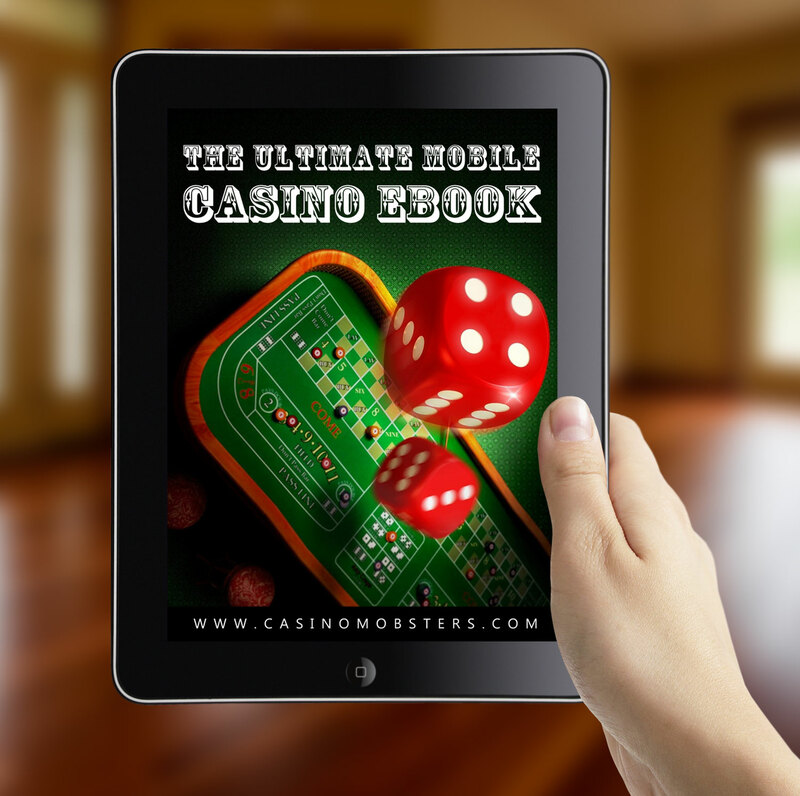 So why should you download such an extensive ebook? 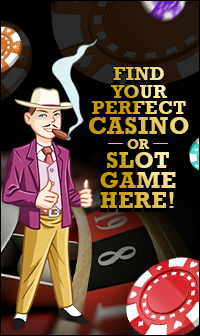 You can start playing right away in your favourite casino, right? Not really! Sure, if you want to risk more than you should and if you’re looking for some second class casino action. Or maybe third class. As you have no idea what mobile gaming is all about that’s exactly what you will get. So it’s worth spending an hour to read this book and do your homework. It is well worth it!